From Water combines a few of my favorite things: a vinyl-only release, a solo instrument album and music inspired by flowing bodies of water. Any album that's released exclusively on vinyl (or at least on vinyl with a download card) should at least be acknowledged since it's still a bold move. When an improvising musician releases a solo recital (with the exception of the piano since the harmonic possibilities are greater), it usually presents an interesting study of the performer's mindset. As far as the last, personal criteria, I've always found that sitting near a fountain or a flowing creek to be a very calming experience. Doug Wieselman's set of solo clarinet pieces is not in the same league as something like Anthony Braxton's For Alto. This is not a series of extended technique performances, but in fact tunes inspired by distant trains, water and traveled roads. The music is melodically stark, closer to Brian Eno's ambient music than to Wieselman's Downtown New York/improv/jazz surroundings. Yet the repetitive nature of "Pacific 2" and "Train" brought back memories of his "Montana Section," from the 1990s album by the New York Composers Orchestra, where a two-bar melody was echoed and embellished by reeds and brass, evoking the wind blowing through the Montana trees. To create a similar approach on For Water, Wieselman used an '80s loop pedal run through a Fender Vibrolus amp. After playing a clarinet line that provides structure to the music, it repeats independently, allowing him to play countermelodies on top of it. "Train" really does evoke its title, chugging down the tracks that are around the corner and through the woods. This rather lo-fi process gives the music life, although the loops maintains a rich sound rather than sounding like a badly miked clarinet. The music moves slowly and can be unnerving to anyone who wants to hear something with more momentum. While most of it sounds repetitive, Weiselman's faithful reading of John Lennon's "Julia" takes an already simple song and slows it down even further, lasting for what seems like an eternity. But From Water asks that expectations of the whole set are put aside. "Julia" appears halfway into side two, and if you've made it this far, it's easy to let it wash over you. Wisely, he follows that piece with the sole break in the set. "Tennessee Valley," which appeared on side one, is performed by an 11-voice choir. Bathed in warn, natural echo, the piece really succeeds in part because the group blends together like one or two strong voices. The album might be a fairly specialized performance, but it's an engaging one nonetheless. We can all use something like this to keep the mind relaxed. 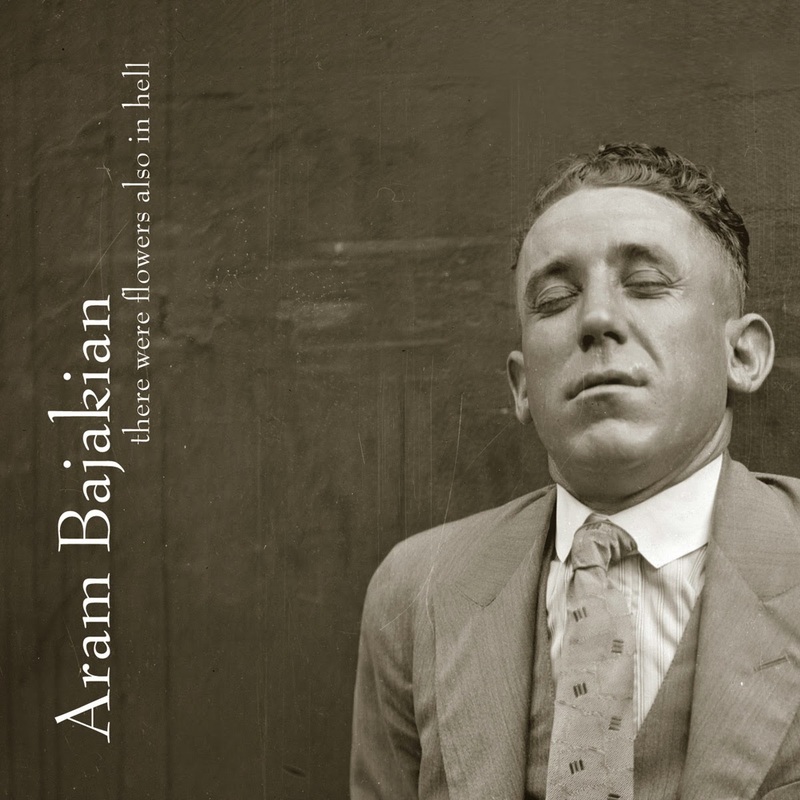 Guitarist Aram Bajakian says he didn't set out to make a blues album when he was putting together there were flowers also in hell. But the influence of the blues - specifically what an uncle used to play for a younger Bajakian on 1940s steel guitar - played a major role in this album. To recap this New York-based guitarist's c.v., he has released an album on Tzadik with his guitar/bass/violin group Kef. He was also a member of Lou Reed's group up to the end of that guitarist's life. To prove that he has a delicate side to his playing, Bajakian has also worked with Diana Krall. As a leader, the guitarist seems to herald the next generation of avant guitarists, where the prickly attack of Ribot commingles with the lilt of Frisell, creating a new sound in the process. Not knowing the blues connotation of the album, the double-time bounce of opener "Texas Cannonball" has an almost cartoonish quality at first. But as bassist Shahzad Ismaily and drummer Jerome Jennings give him a bouncy E, Bajakian shoots all manner of shrapnel out for a few choruses, before it downshifts into a dirty groove. This segues seamlessly into "Loutone" where the volume drops to the point where the trio is barely there, playing a groove that evokes a digital loop (with a bassline that comes close to the one in "All Blues") and brings it back up for a fitting climax. It has a loose, jam-in-the-studio quality to it, with a level of excitement that doesn't always come across in this kind of performance. From there, the group touches on spaghetti western in "Requiem for 5 Pointz," as delivered by Ismaily's lonely sounding, echo-heavy bass, which kicks on the fuzz at the end. 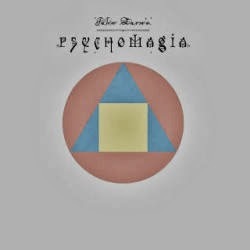 "Sweet Blue Eues" starts smooth and sensual before a couple tracks of Bajakian's picking get heavier. "Japanese Love Ballad" features muted guitar plucks between bluesy string bends, helping it live up to its title. In keeping with that mood, the album ends tenderly with "Julia," a piece for solo guitar that features a lot of tremolo, harmonics and bent strings. It, and the whole album, might not really be blues, but this music comes with the same amount of feeling felt in good blues. Although the cover to this album credits John Zorn, the music actually comes from Abraxas, which also includes Bajakian. Led by bassist Shanir Ezra Blumenkranz they are playing a new set of "tribal rock" songs from Zorn's Book of Angels written for this unit. With Eyal Maoz as Bajakian's guitar foil and Kenny Grohowski on drums, they take this music in directions that are unpredictable yet very engrossing. "Metapsychomagia" nearly covers all the stylistic bases as the opening track - with a Ventures twang, a little more Morricone suspense and heavy rock all coming together throughout in seven minutes. "Sacred Emblems" which immediately follows, has a melody that almost comes off like instrumental pop, with a country twang giving it accents and making it more engaging. The middle tracks get into more heavy, progressive rock. "Celestial Mechanism," in particular has Bajakian and Maoz playing some repetitive figures in unison, evoking thoughts of Robert Fripp. But even when one guitar yowls in the background behind the other's lead ("Squaring the Circle"), the music never collapses into free chaos. They really create suspense in the music by giving equal weight to both the foundation of the music and the frenzy that occurs on top. Surprisingly - thought not necessarily, for a Zorn project - the volume dies down for two final tracks, ending the album on a gentle, thoughtful note. "Nameless God" turns off the distortion pedals for a clean delivery of shifting rhythms and lines. "Anima Mundi" has a repetitive lick that, like "Loutone," could be a looped pedal, but actually sounds too lifelike and precise to be a machine. Saving both of these tracks for the end brings things full circle and helps to appreciate both the composer and the skill that Bajakian brings to his projects. 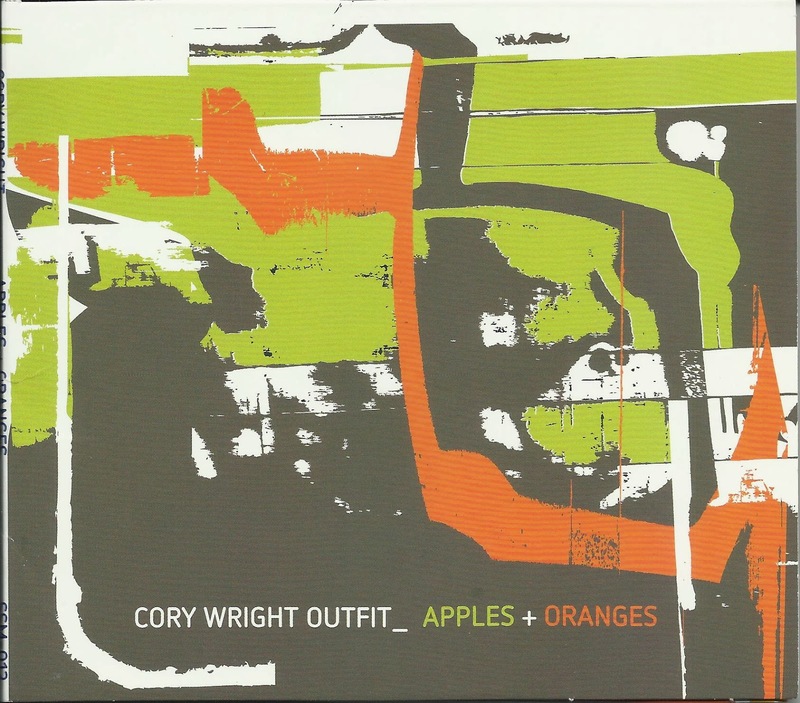 Singlespeed released the Cory Wright Outfit's disc back in the fall, while Ton Trio II's album just appeared a little over a month ago. Like previous items on the label (which is run by saxophonist Aram Shelton) both reveal an uninhibited sense of adventure, marked by strong compositions and a tendency to blow freely as the situation calls for it. Wright's group starts out in familiar surroundings but by the end of Apples and Oranges, they're planted firmly in their own unique territory. The same can be said for several of the compositions and the multiple sections they contain. They get further leverage from the horn-heavy lineup of Wright (tenor saxophone, b-flat clarinet), Evan Francis (alto sax, flute), Rob Ewing (trombone) who are joined by Lisa Mezzacappa (bass) and Jordan Glenn (drums). "Freddie Awaits the Sleepers" has a stop-time melody that emphasizes the off beats. The band plays changes during Ewing's solo, while he cuts his own melodic path with plenty of energy. The saxes each take their own solo and keep the mood going. Ewing later gets in a spirited chase with Wright (now on clarinet) and Francis (flute) in "Low Impact Critter," which begins with both reeds playing rapid eighth notes in unison. The same two reeds add a rich texture to "The Sea and Space." It begins like a ballad showcase for Ewing but by the end, the group locks into an arty vamp for an alto solo that has a dirty funk tone when Francis starts blowing. "Whaticism" also packs a lot of ideas into a seven-minute track. In the spirit of mid-'60s post-bop (reminds these ears of the between-free-and-structured work of perhaps Grachan Moncur III and Andrew Hill) everyone gets room for a brief, concise solo, including a twisted line from Francis. "Eyedrop," the longest track at 11 minutes, slowly evolves from muttering horns to a slow riff in 3/4 where the clarinet whine is answered by the other horns. Wright leaves his mark here both in a solo and in what he's written. The West Coast players make an impact that can be compared to Shelton's Fast Citizen comrades in Chicago, so this album will hopefully get into the hands of more eager listeners. Shelton's alto is the guiding force in Ton Trio II, which also has Scott Brown on bass and Alex Vittum on drums. Ornette Coleman's inspiration comes to mind with On and On, as the compositions often feature all three instruments playing the themes in unison. Shelton also admittedly uses "folky" melodies in his writing, which immediately grab the ear. But he too likes to employ different settings in the space of one tune. After a boppy theme in "Let's All Go," Brown plays an out-of-tempo solo that moves through a wide range of his bass, eventually leading into a 6/8 vamp that gives Shelton room to blow long and short phrases. Vittum then gets his spot to play with dynamics and lengths of phrases before the brief head gets restated. "We Were Told" by contrast is a slow, mournful piece where Shelton sounds like he's trying to approximate the woody tone of a clarinet. As it goes on, he squeezes the reed until he gets a strong growl out of it. Just drums accompany him in his solo, and then Brown grabs the bow to restate the theme and take his own solo. While things more very deliberately, the execution by the trio keeps it compelling. 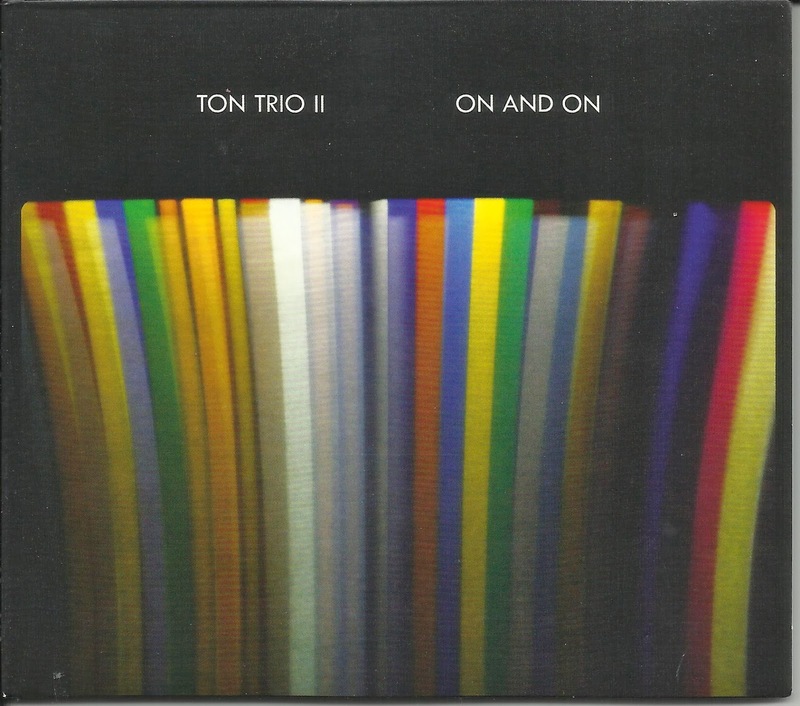 Interplay is a crucial part of Ton Trio II. Whether they're playing sparse tracks like "Findings" or short, brighter moments like "Layover," they also keep their energy focused on each other and on a forward direction. Kudos to Singlespeed for two more strong additions to their catalog.